Brigham Young University School of Law, 1987 J.D. Michael Black is a graduate of Brigham Young University Law School having received his Juris Doctorate degree in 1987. Over the last 27+ years he has focused his practice on domestic relations, probate, trusts, and general civil and business litigation. Mike is married to Kristine and has three sons Kyle, Derek and Tanner. Mike has a strong sense of family and the importance of family yet at the same time recognizes that many, well-intentioned couples find themselves in unfortunate and unforeseen circumstances. Frequently, those matters can be amicably resolved through mediated settlement; however, in some cases, it may mean that a judge will need to decide the matter. Over the course of his practice Mike has been involved in an estimated 2,000+ domestic and civil litigation cases. Mike has represented architectural firms, construction companies, land owners, apartment owners, cabinet shops, mechanics, entertainers, florists, bankers, farmers, developers, store and restaurant owners, and a number of other local businesses and individuals. 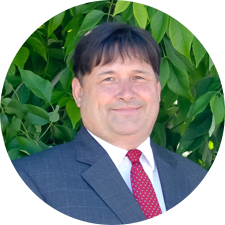 Mike is member of the Utah State Bar, Central Utah State Bar and Utah Trial Lawyers Association. Mike was student body president of his High School and graduated in 1978. After attending a year of college he served a two year mission for the Church of Jesus Christ of Latter-day Saints in the Hartford Connecticut Mission. His undergraduate degree was completed in 1984 from Brigham Young University in business/accounting. Mike put himself through law school by working on the family owned ranch/farm, in Idaho, in the summer and working during the school year at a local Orem law office. After Graduation he continued full time employment at that same law office until 1998 when he joined with Alan Young, Randy Kester and others in Springville. Most of Mike’s time, out of the office is spent with his wife doing projects around the house or with his sons doing eagle scout projects, horse pack trips, river running, canyoneering, backpacking, boating, bicycling, camping, bow hunting, fishing and the occasional round of golf when all the boys want to go. Over the years, there have been offers made to join much larger law firms, which typically meant moving to Salt Lake City, but Mike has consciously chosen to be a part of a smaller firm and has appreciated and looked forward to the ongoing association with the attorneys and staff at Young, Kester, Black & Jube.